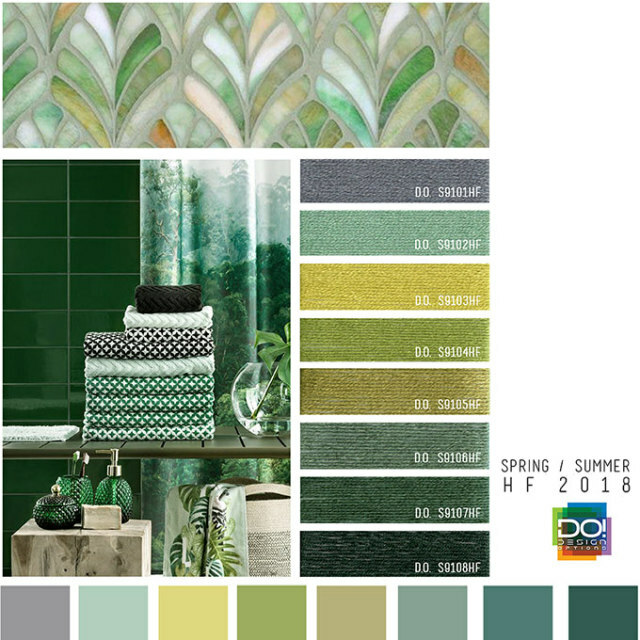 View two themed color trend forecasts for Spring/Summer 2018 home interiors market. 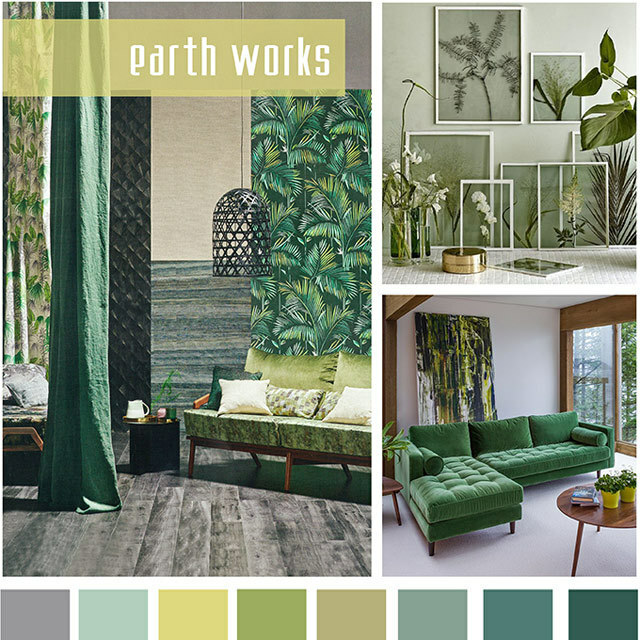 Earth Works features cool emeralds to land the magnetic blues. 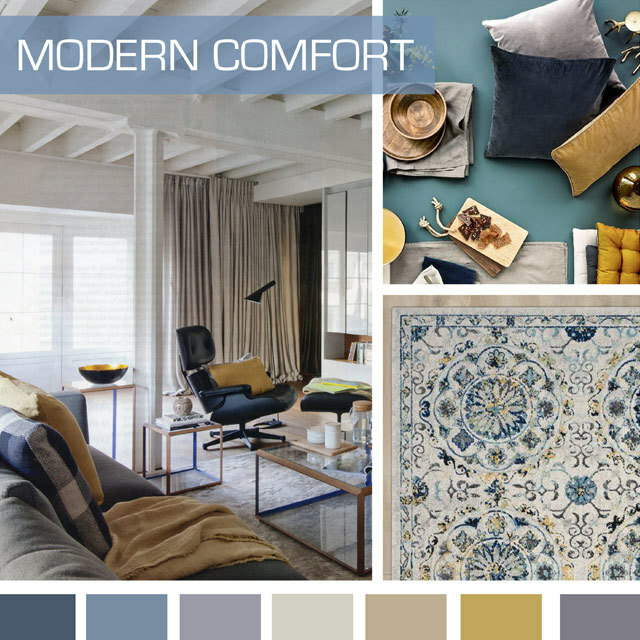 Modern Comfort evolves our blue infatuation when worked in tandem with warm yellowed neutrals. 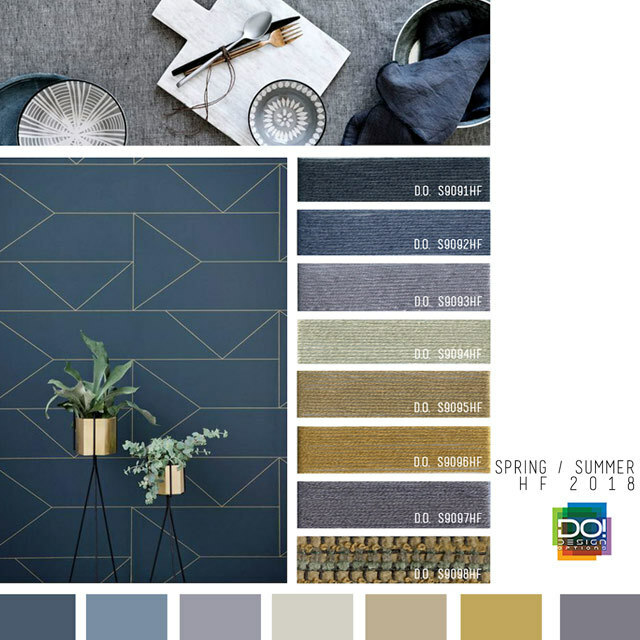 Thanks to Design Options Inc, the color forecasting firm who is dedicated to bringing Southern California’s unique aesthetic to the world. Brimming through the cool dews to land amongst the magnetic blues. It starts with a flushing display of emeralds that mimic the vast mountains, awakening the mind with rushes of wisdom and solidarity. Followed by the encounter of the abundance of spawning lustrous and muddy greens. Twinkling yellows reminiscent of the sun, add a touch of warmth and delight. Much like the clouds against the sky, glittering silvers and baby blues kindle emotions of tranquility and serenity and alas achieve the beauty that is morphed together by the Earth Works.